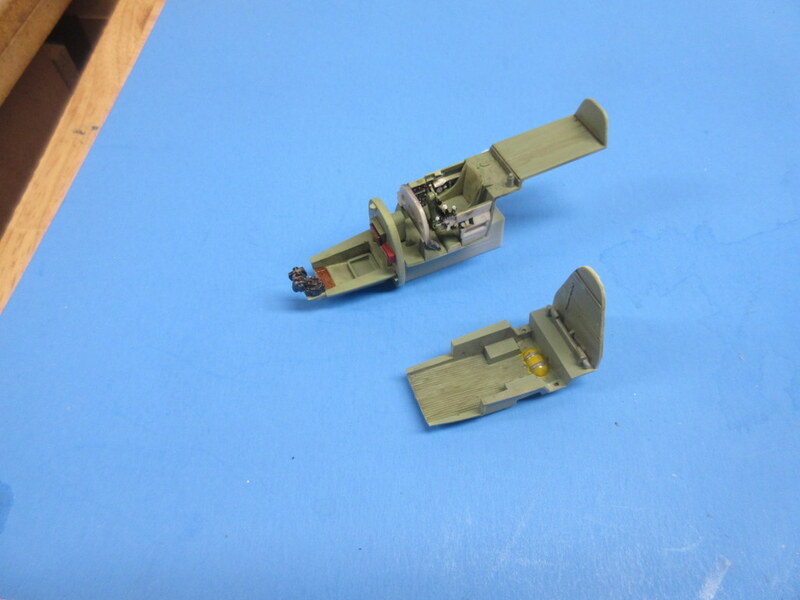 Time to start a couple of desert aircraft. 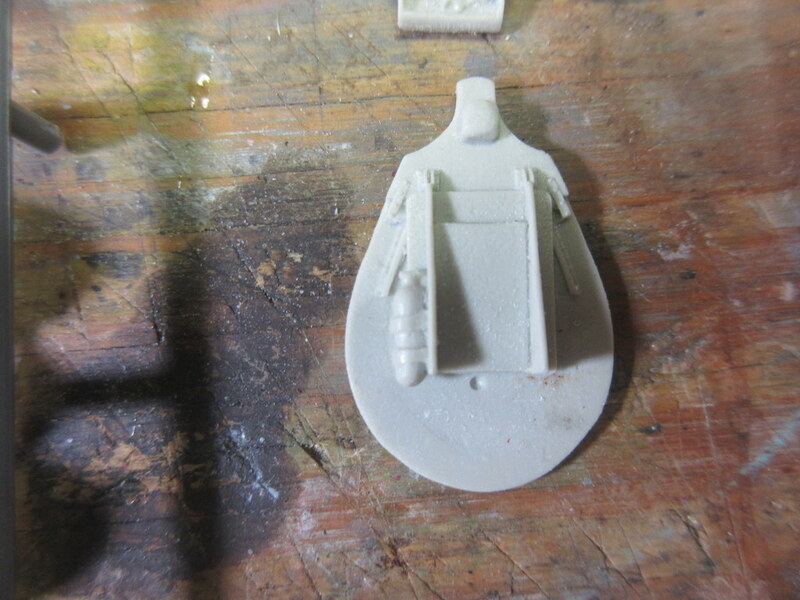 Time is ticking for completing kits this year and although I’m not a really focused by quantity I haven’t built very many this year so we’ll do a couple of kits mostly out of the box. 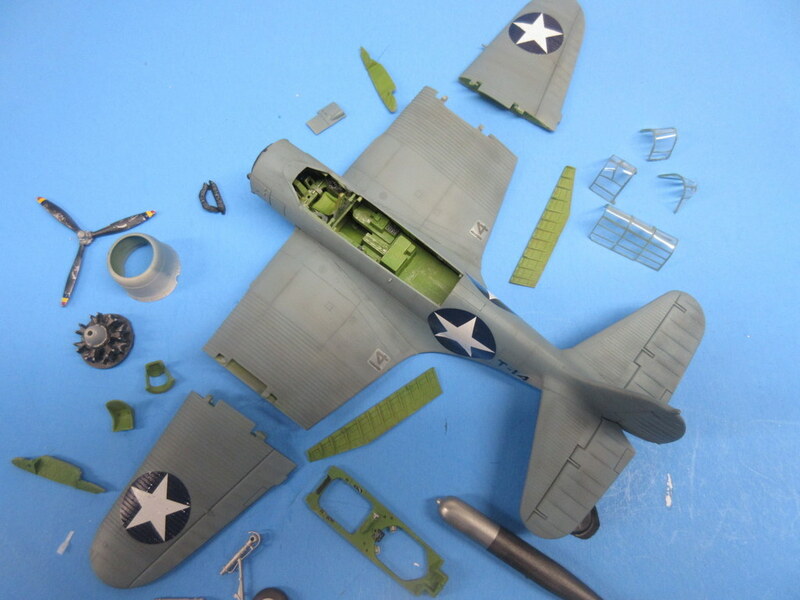 I’m going to try and keep the AMS (Advanced Modelers Syndrome) down a bit. 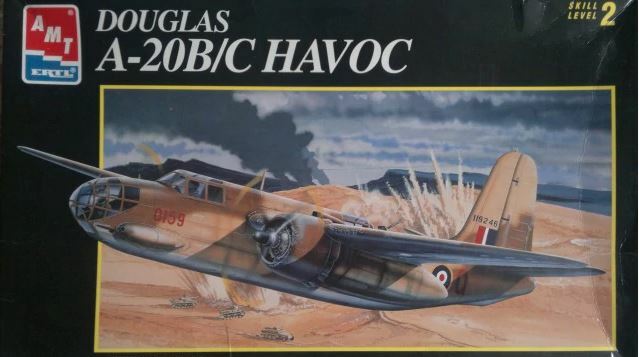 I’ve always wanted to do the camouflage on the old Revell A-20 kit, the reverse lend-lease aircraft that was in British desert camo with stars painted over the British Roundels and the aircraft oversprayed with desert pink. I’ve has a bottle of fresh desert pink paint for over 15 years waiting for the day. 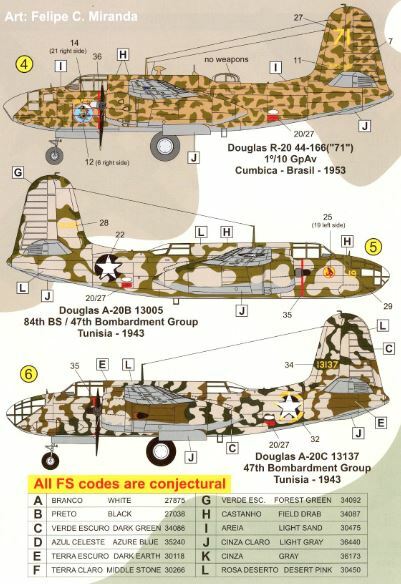 With the release of the new FCM decals for the A-20, I can finally take my AMT A-20C and create this in 1/48 scale. 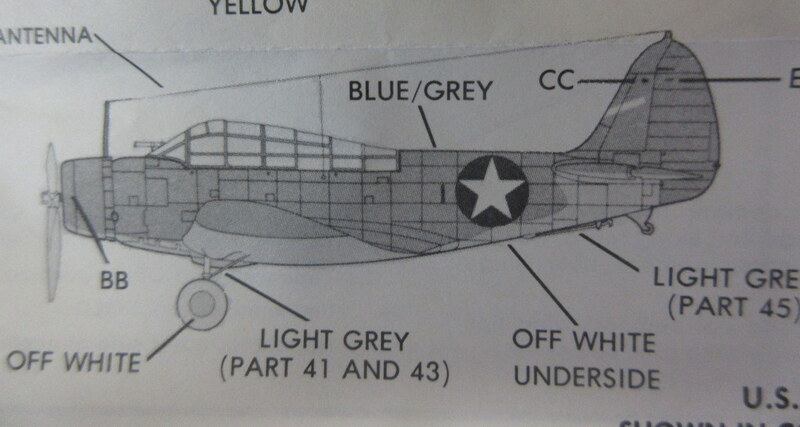 Note that there is a picture in the Douglas Havoc and Boston book (Crowood Aviation Series: ISBN 1 86126 670 7) on page 122 showing the US aircraft on this sheet together. 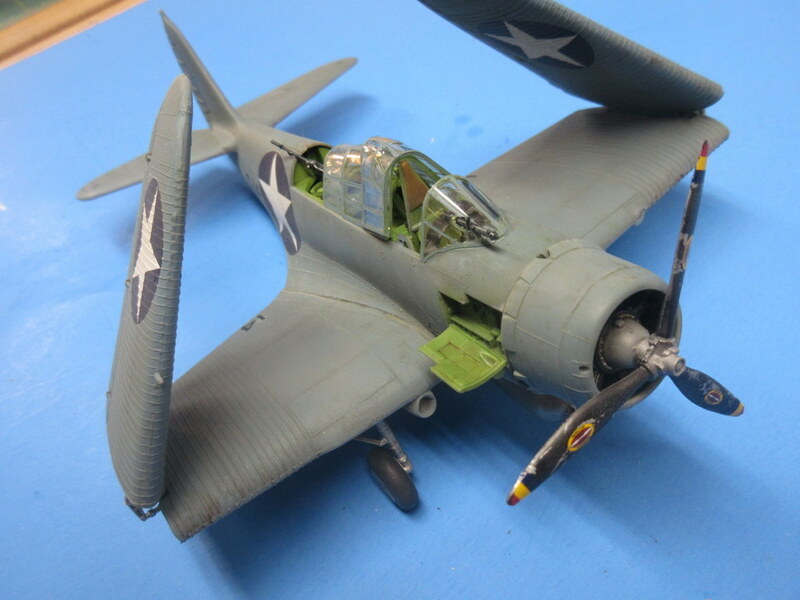 I am building the A-20 right out of the box (with the exception of the exhausts – for another post). 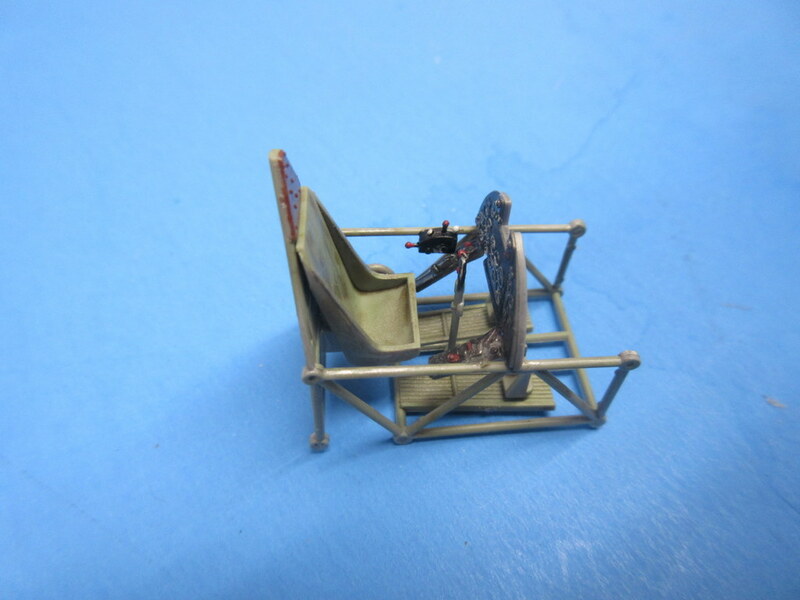 Cockpit, bombers position, and rear gunner areas will be presentable as I plan to keep the canopies closed and you won’t see much. 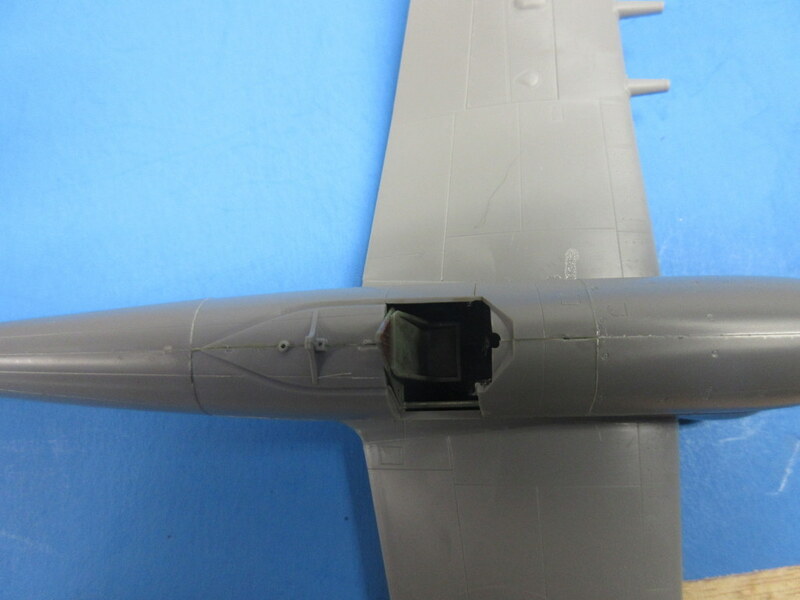 The AMT kit has a separate nose front so that the same kit can support the A-20B/C/G/J versions. 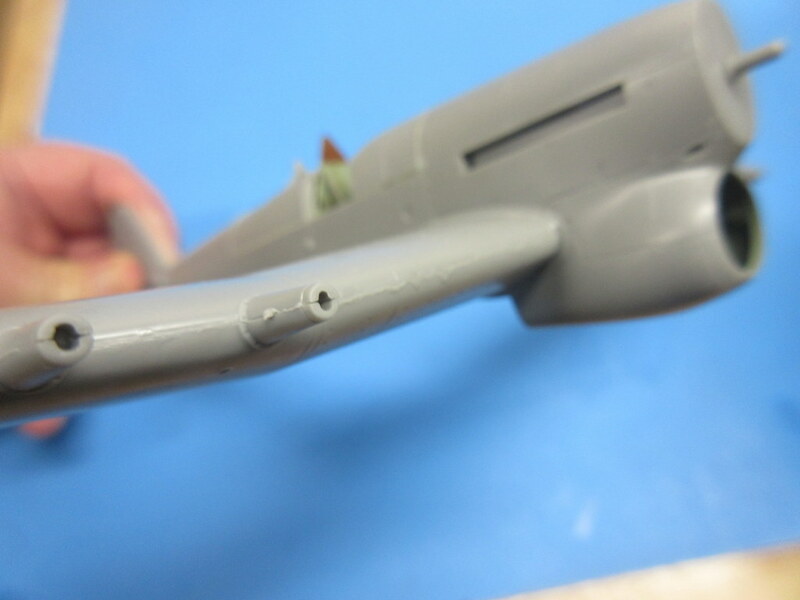 I have cemented the nose to the fuselage half rather than following the instructions which had you cement the nose halves together first. 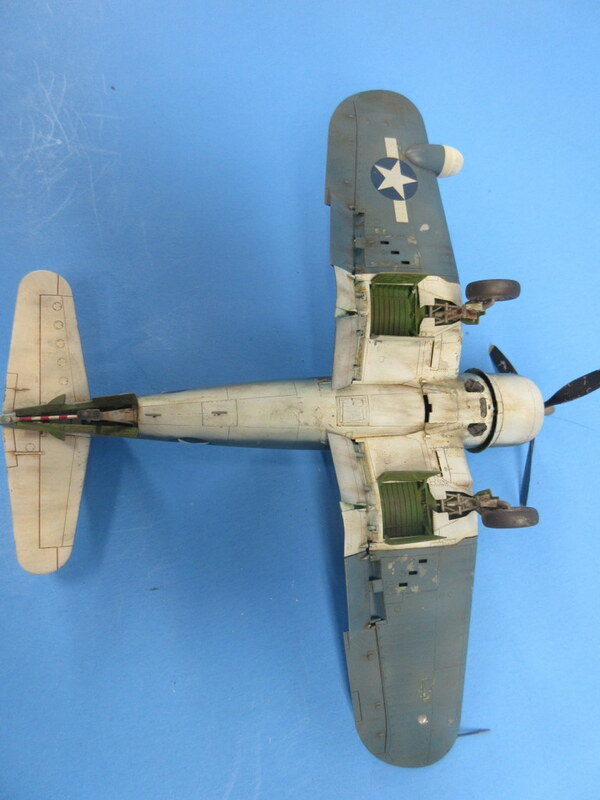 This is recommended as it really helped align the bombers positions in the aircraft. Interiors are painted Floquil British interior green from an old bottle I’ve also had hanging around for many years. (I miss those colors). 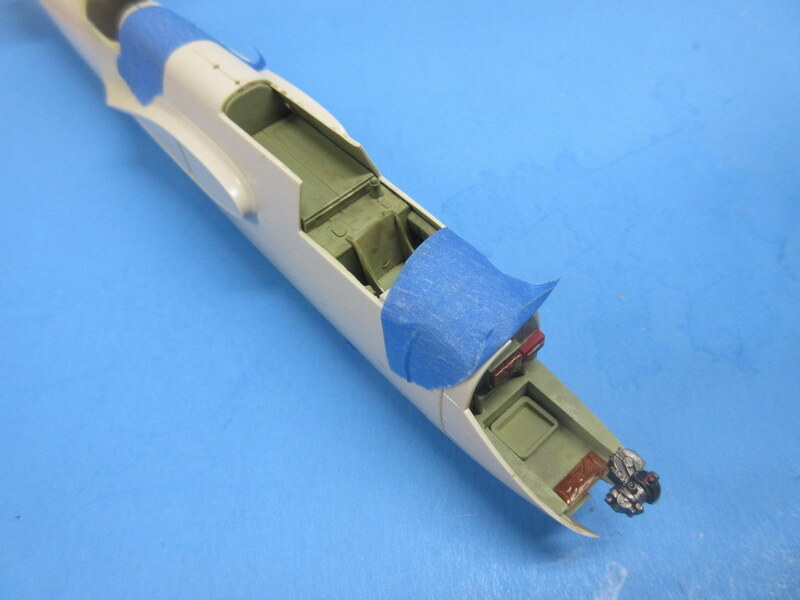 Details were hand painted and we are about ready to start closing up the fuselage. 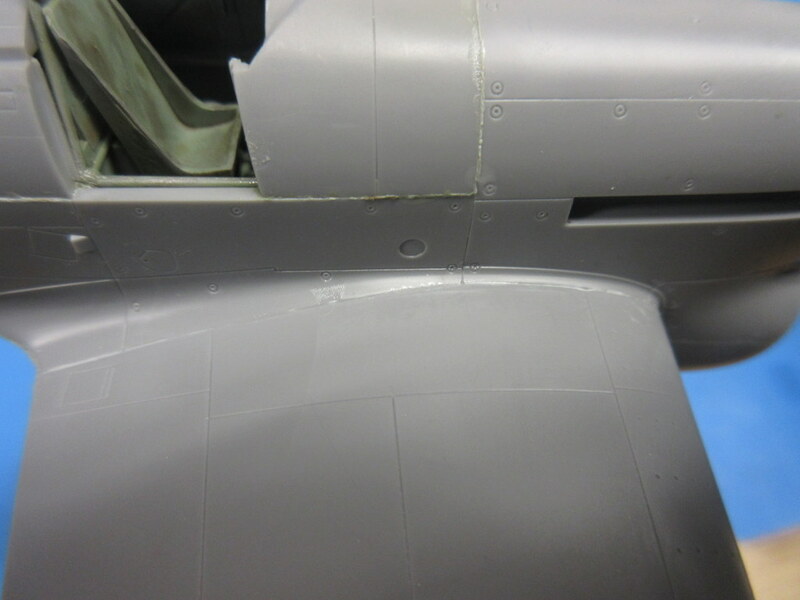 I’ve also started the Hasegawa car door Typhoon. 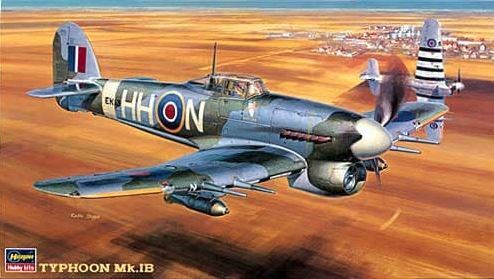 Apparently there were only three Typhoons used as test aircraft in the desert theater and I plan to mark up one of them with those markings. 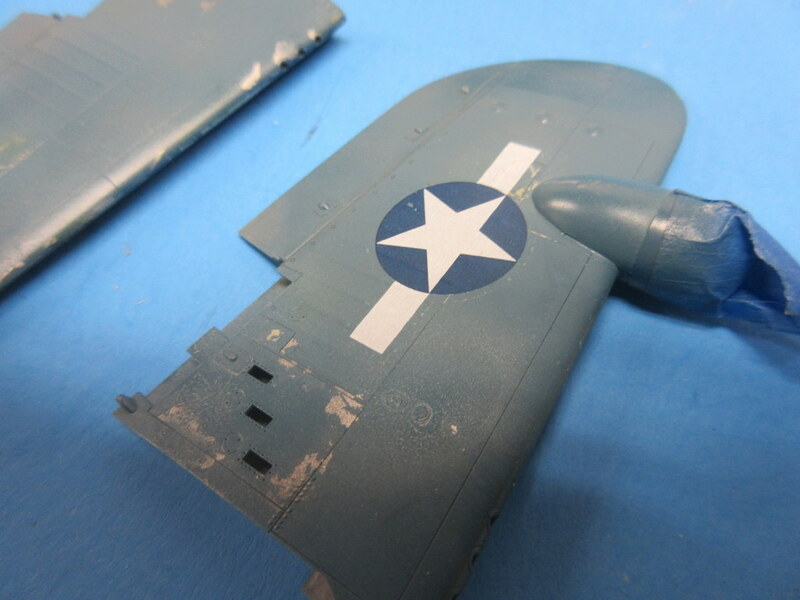 There are a few decals sheets out there with those markings but I might see if I can cobble together the correct markings from spare decals on hand. 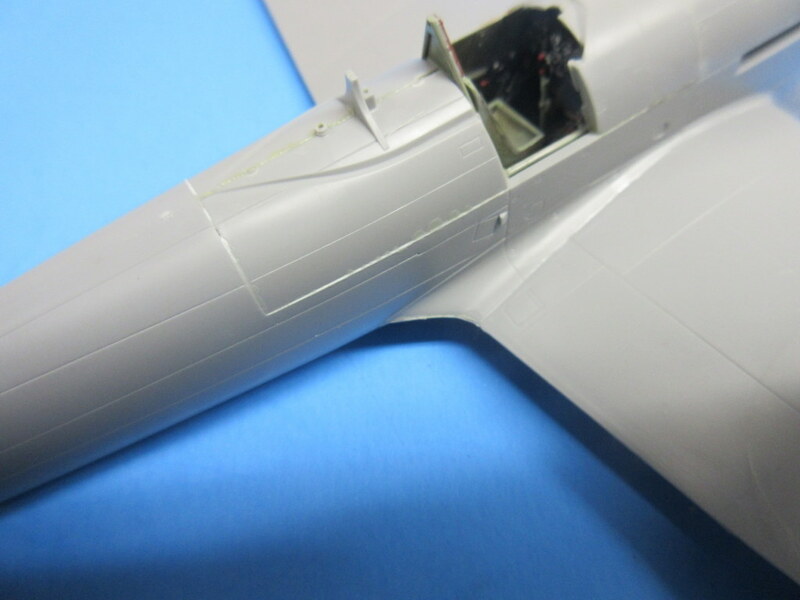 The cockpit is simple and ready to implant in the Typhoon’s fuselage as well. Finally, another kit completed this year. That makes 3 this year. 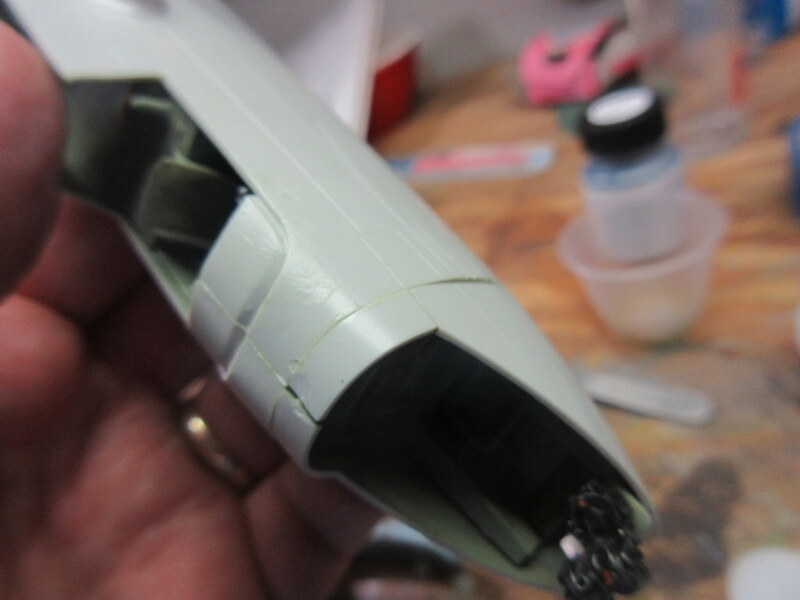 Normally I build 7 – 8 per year but my Boy Scout hours and other things have kept my modeling hours short. 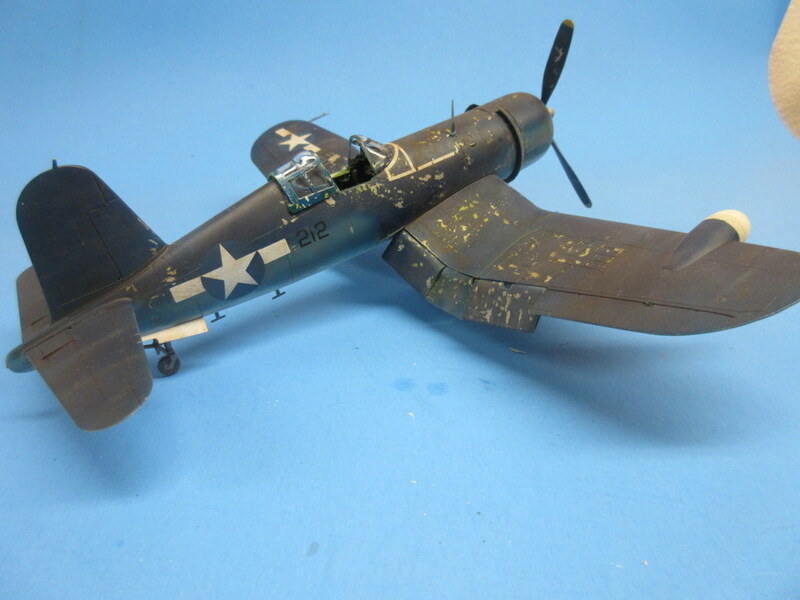 I finished a Tamiya F4U-2 on the heels of the Monogram TBD I documented in a previous post. 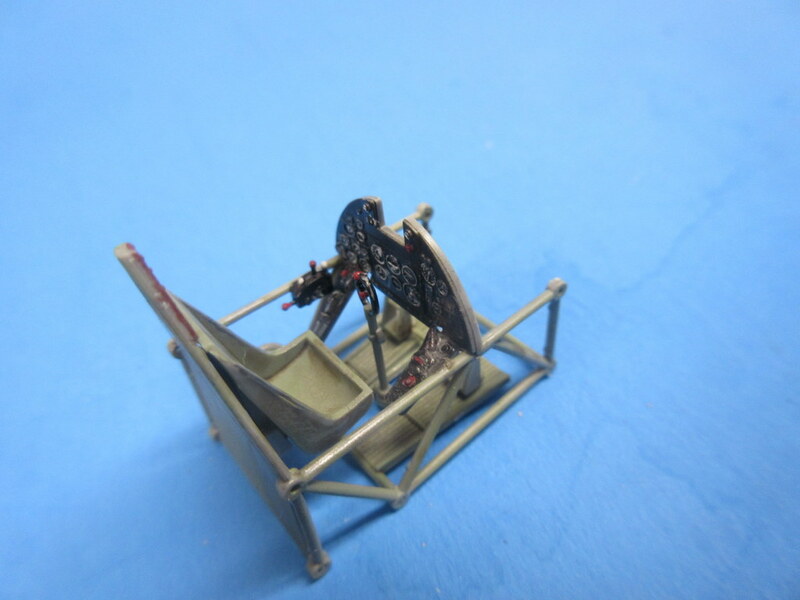 This kit had some interesting challenges. 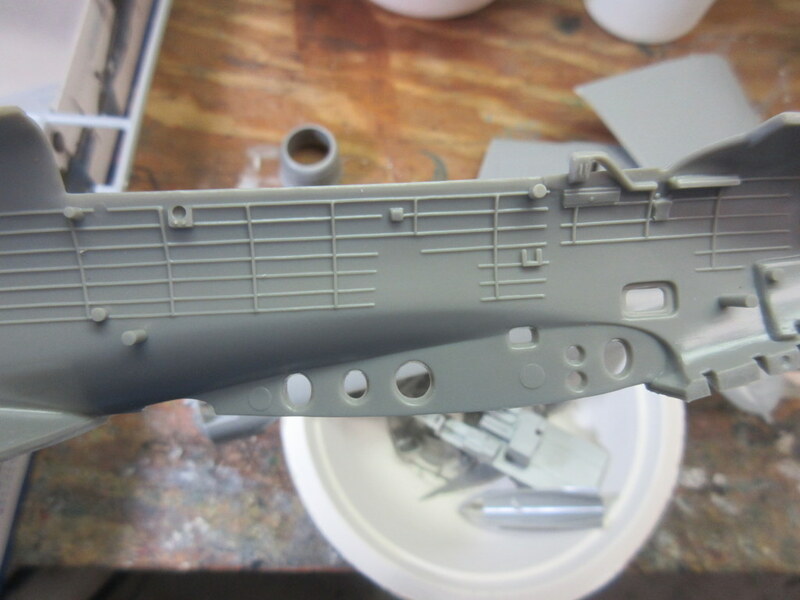 I built this kit once before many moons ago and it went together like a dream. 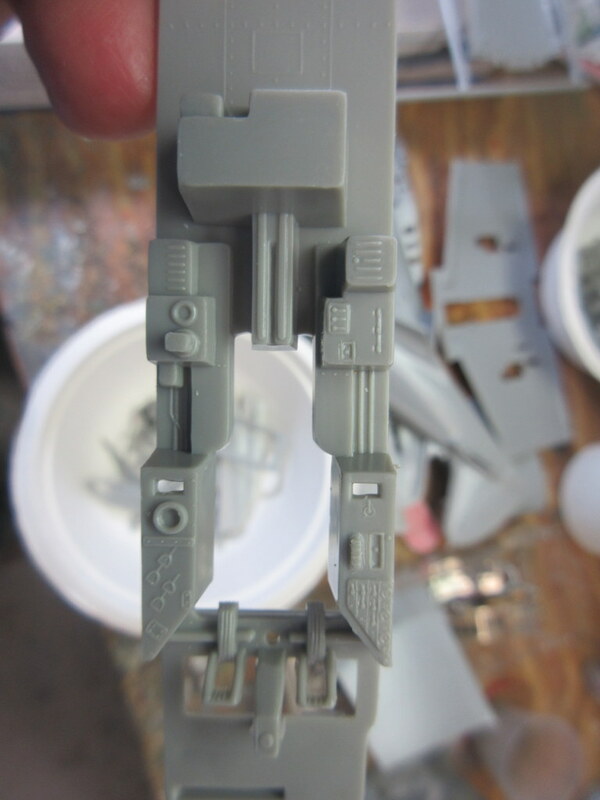 I decided to use a True Details resin cockpit on this kit and in my mind, it wasn’t that much of an improvement over the kit parts, and the trouble I had putting it in even detracted a bit from the overall completion. 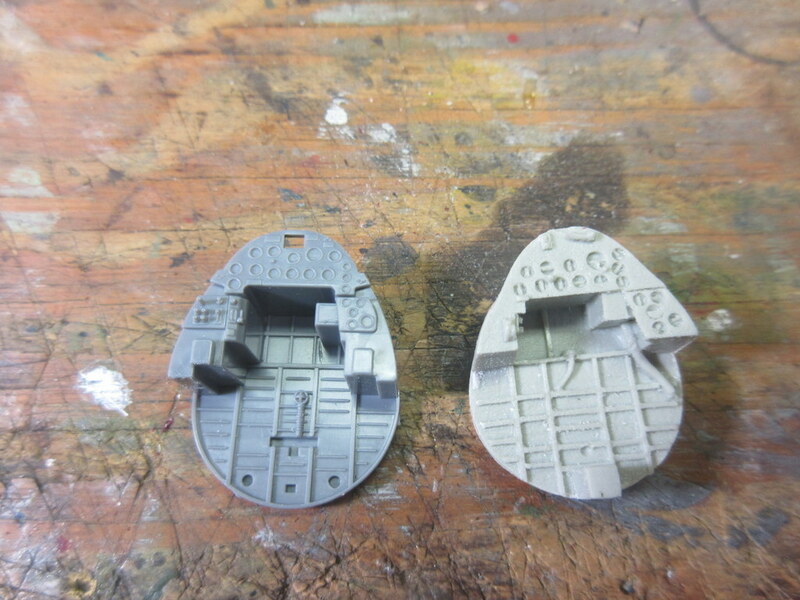 Here are some comparisons between the kit and resin. 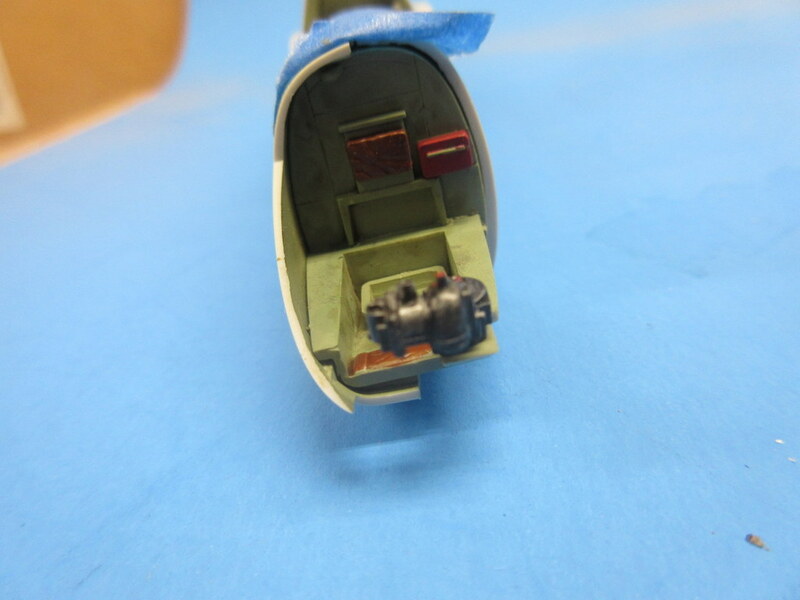 Other than the built-in seatbelts in the resin (which are out of scale), I think the Tamiya cockpit had crisper detail. 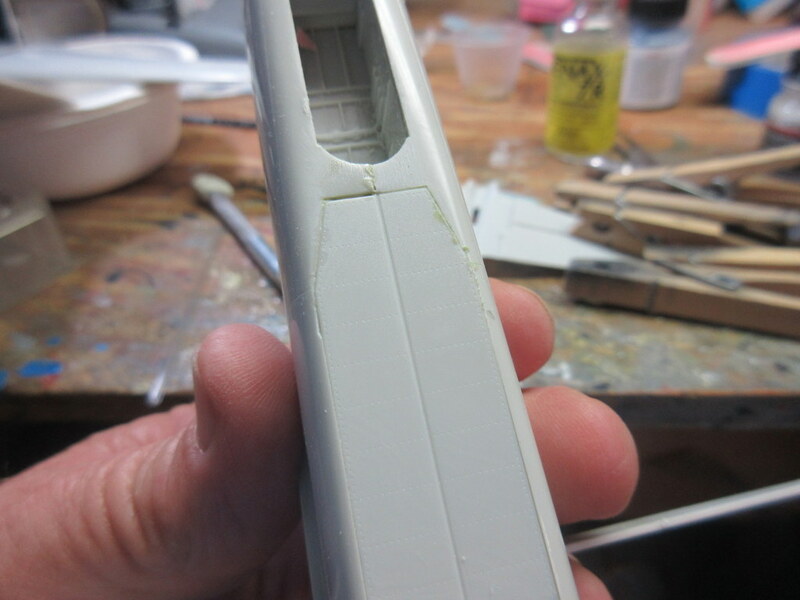 I also had a wild hair about using hairspray to do the chipping. 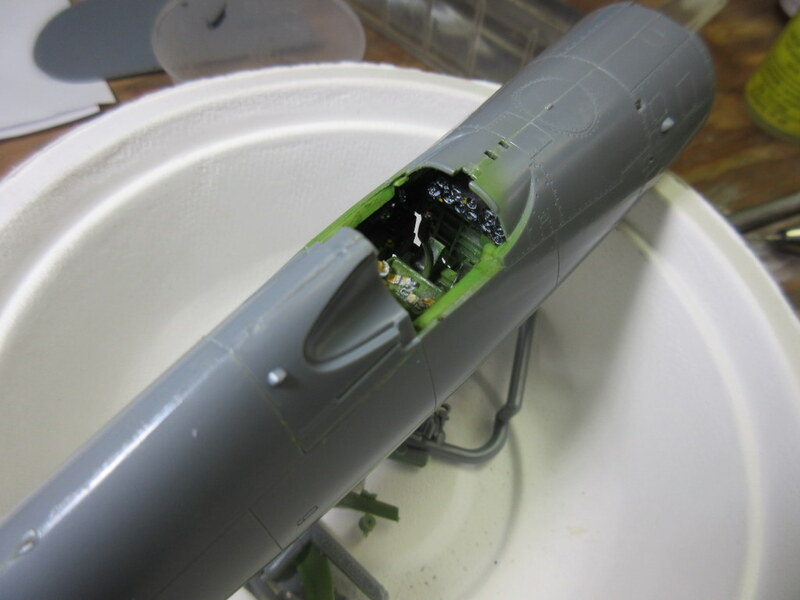 This had worked wonderfully on a previous build (see https://dlloseke.wordpress.com/2017/09/09/hasegawa-hurricane-mk-iic-night-hurricane/ ) but I had a couple of problems with this. 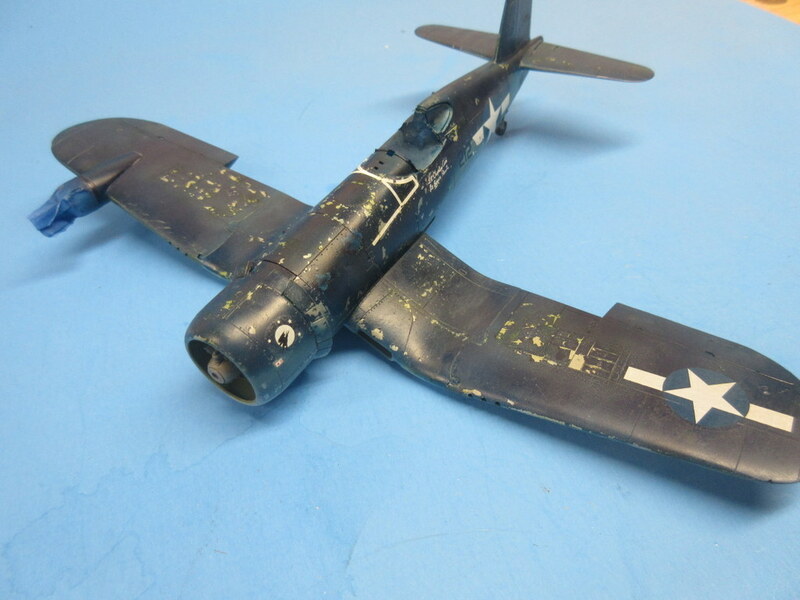 First, the original build was a single color aircraft. 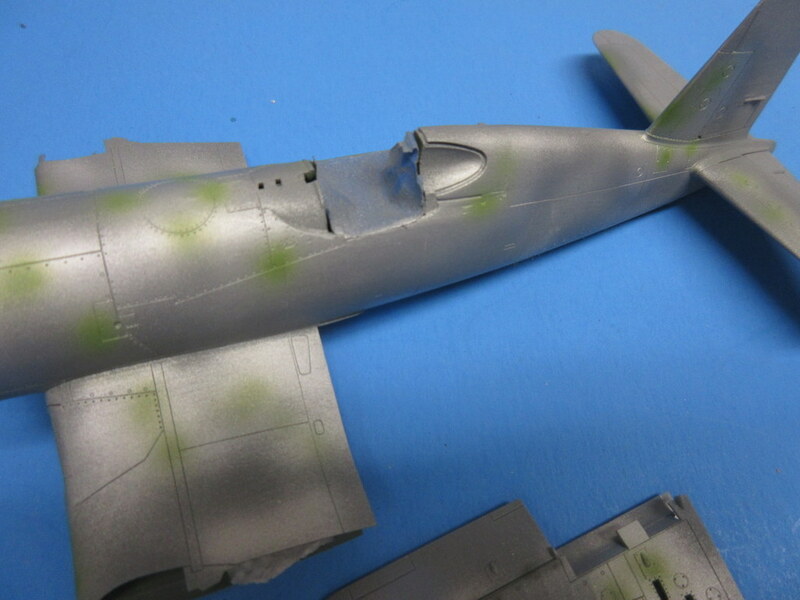 To use the hairspray you paint the kit the chipping color (silver here) and then cover it with hairspray. 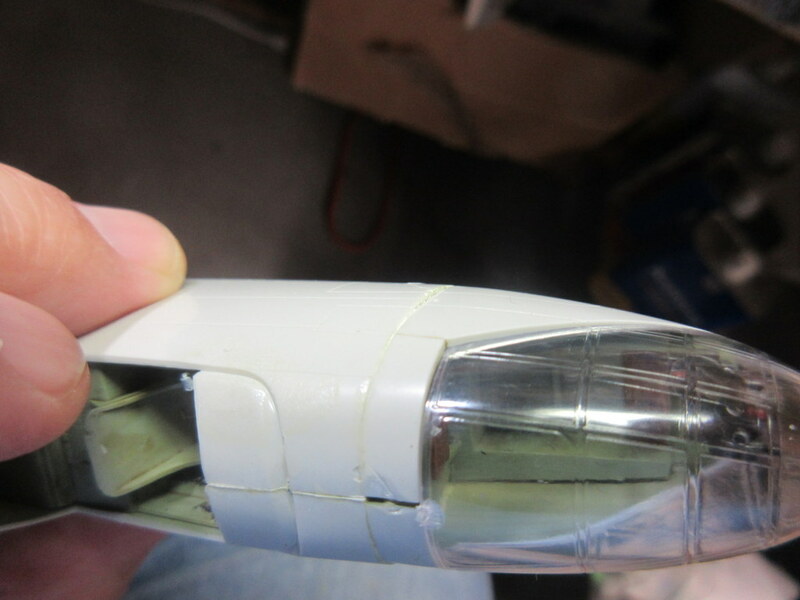 You then paint a water-based paint (I use Vallejo) and by wetting the paint before it is fully dry use a stiff paintbrush or toothpick to remove the chips (the hairspray “melts” under the top coat and allows the paint to be removed. 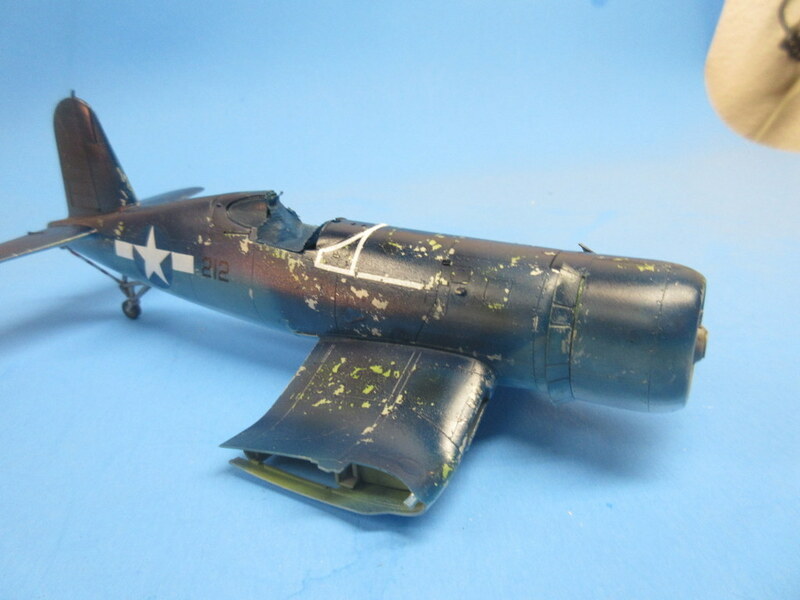 With the tricolor of the Corsair, I had to create multiple layers of paint which then were harder to remove. 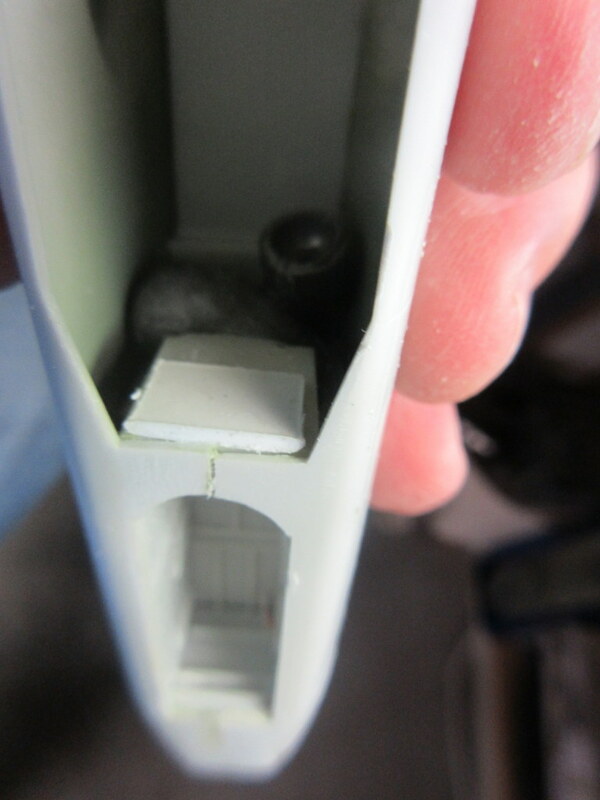 Spraying the Vallejo too heavy in certain areas caused the hiarspray to melt under the wetness of the paint. I think I overdid the chipping. 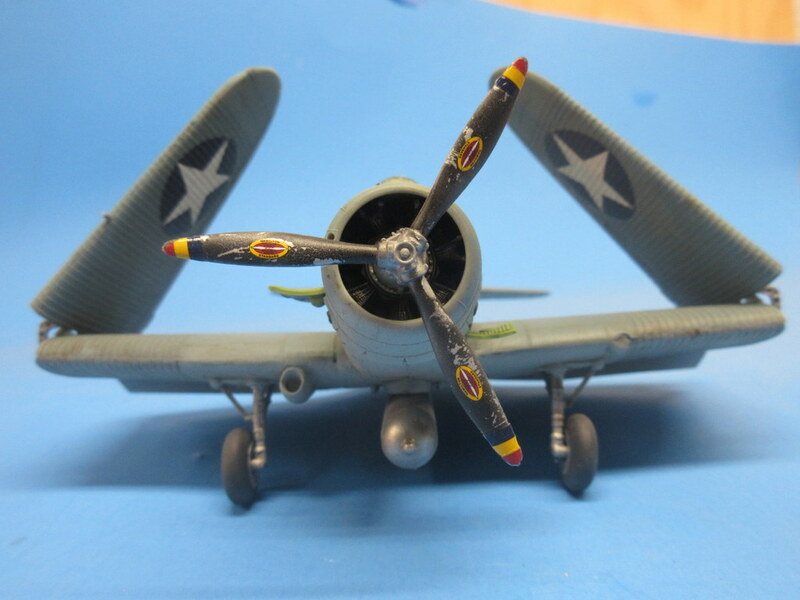 Two other issues; 1) if you are not careful the brush will remove a big chunk of paint all at once – oops, and 2) the Vallejo Sea Blue color did not cover the silver very well in thin coats which gave me more of a dark metallic blue top coat than the weathered flat sea blue I was trying for. 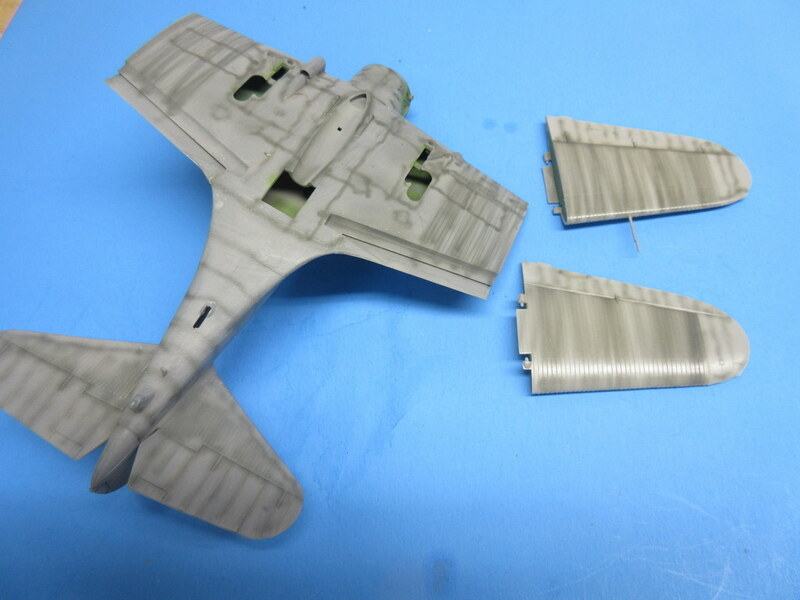 Finally, after decals, the kit received an oil dot filter coat of paint and then my standard raw umber panel line was to grub it up. 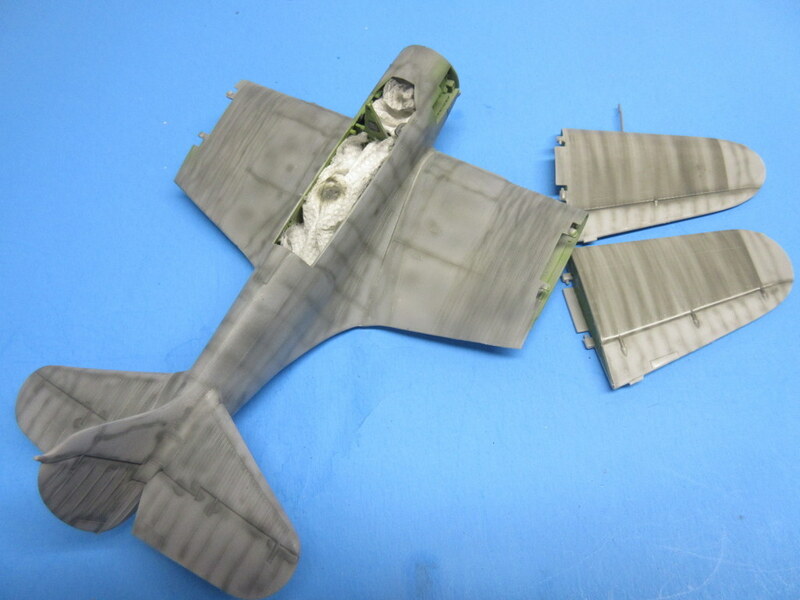 Once dry that was followed by various pastel highlights to finish the weathering. 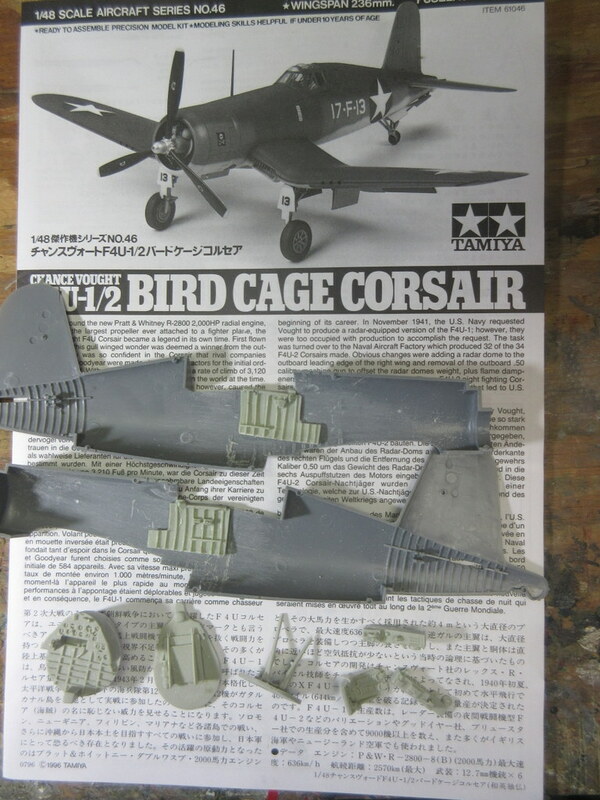 I enjoyed the Tamiya kit! Next up, on to the desert! Maybe I can get a couple more done before the end of the year! 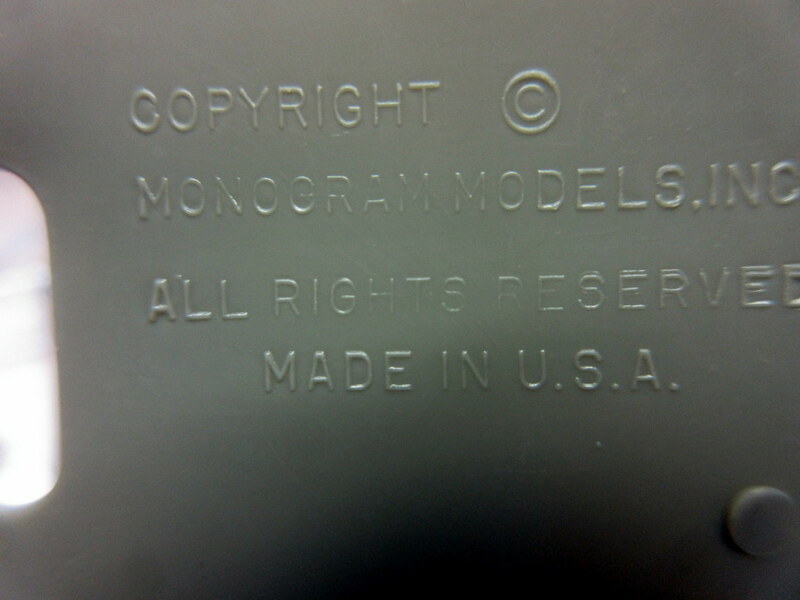 Another old Monogram kit. 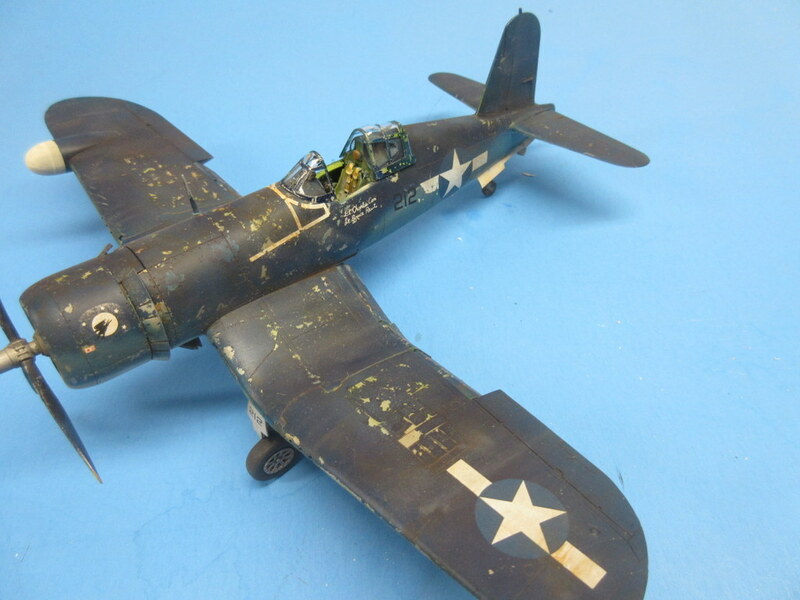 I just joined the Monogram group on facebook and wanted to post a few pictures of Monogram kits I have built. 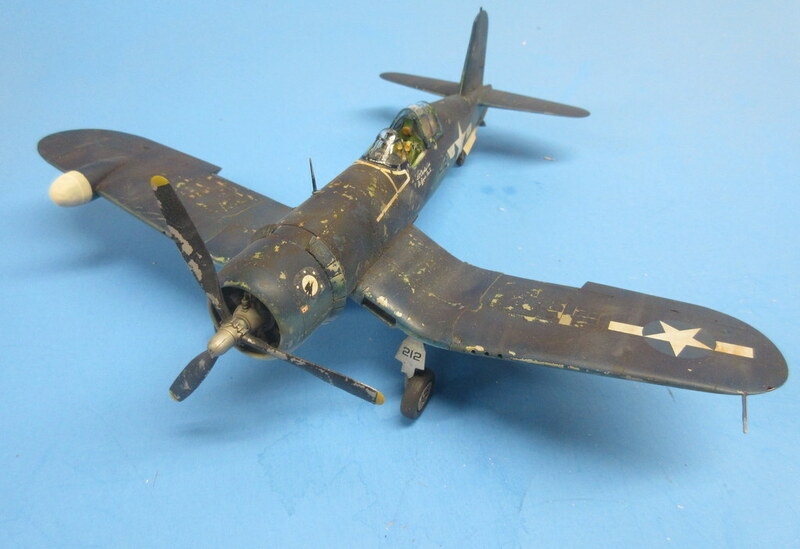 It was then I realized just how many Monogram kits I have built, recently. 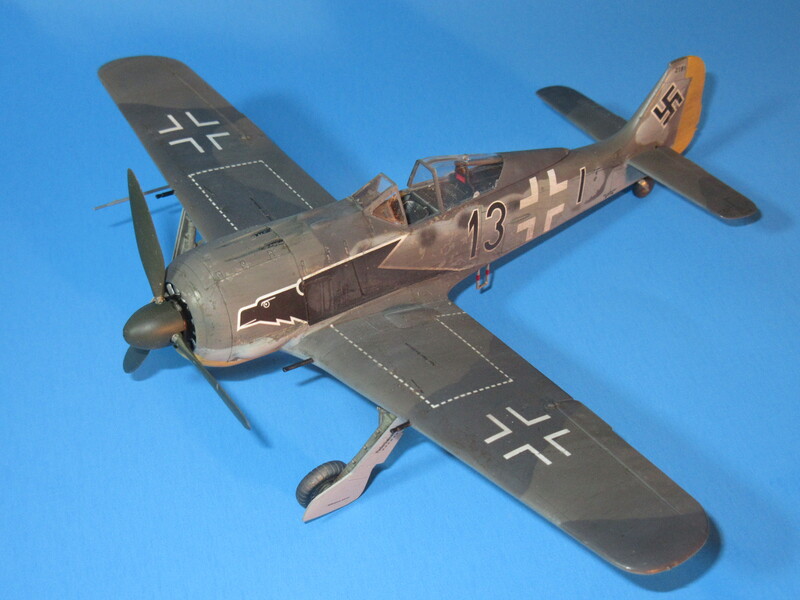 I built ALL of the 1/48 Century series, F-4, F4U-5, P-61, Fw-190, Bf-110 and the list goes on. I love all of the new high tech kits, they have the detail we only dreamed of 40 years ago, but sitting down with one of the classics is still good. 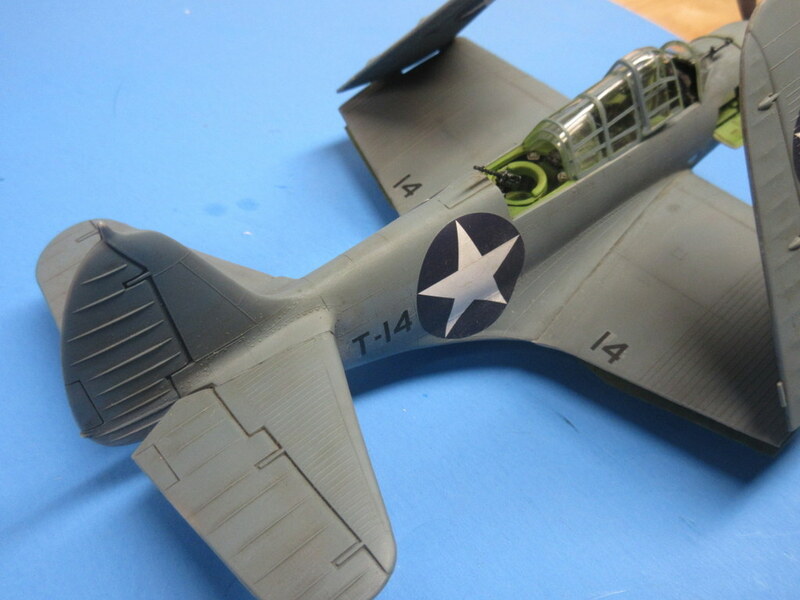 I started the TBD-1. 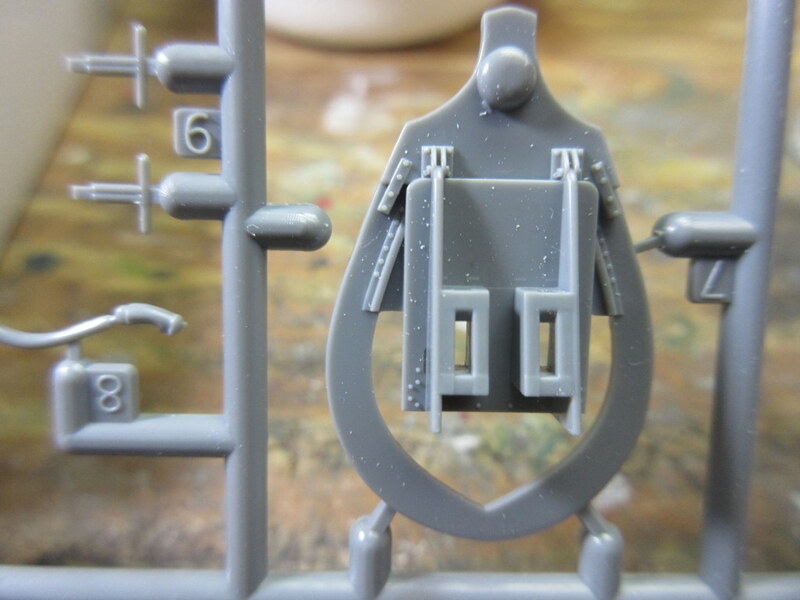 Although the detail is not anywhere near the crisp detail of today it’s not too bad, and the kit is engineered to go together pretty well. 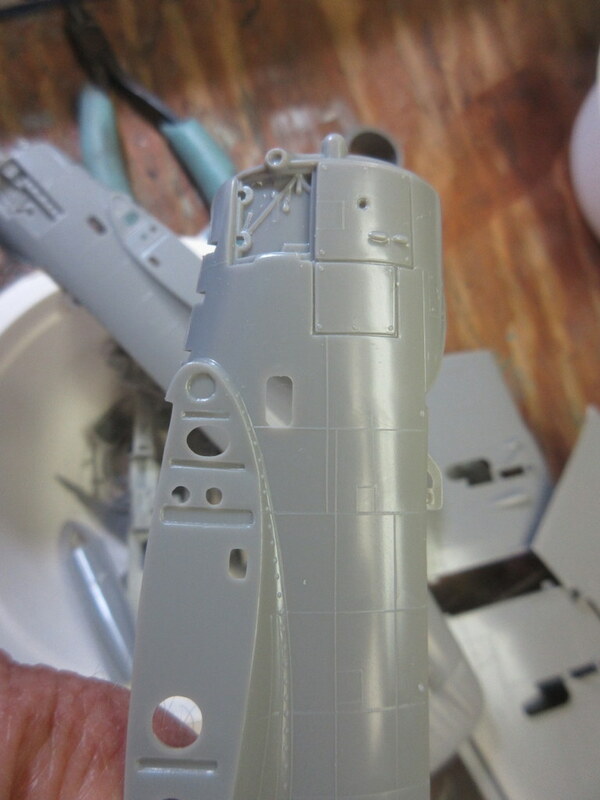 I was impressed cleaning up parts for painting that there were very few ejector marks on the visible area I neede to account for. Pretty clean kit. 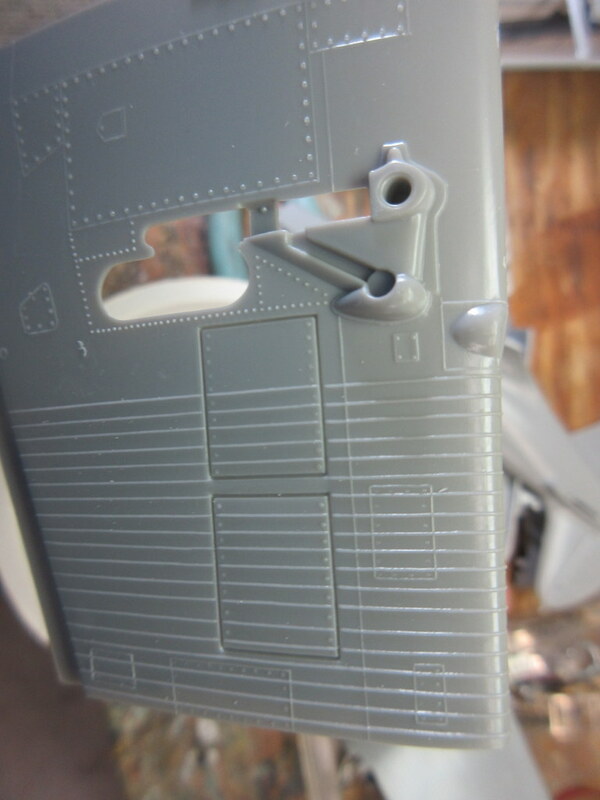 It’s going to be a little challenge getting around the rivets and corrugated wing relief but that’s the fun of building an old kit from the box. 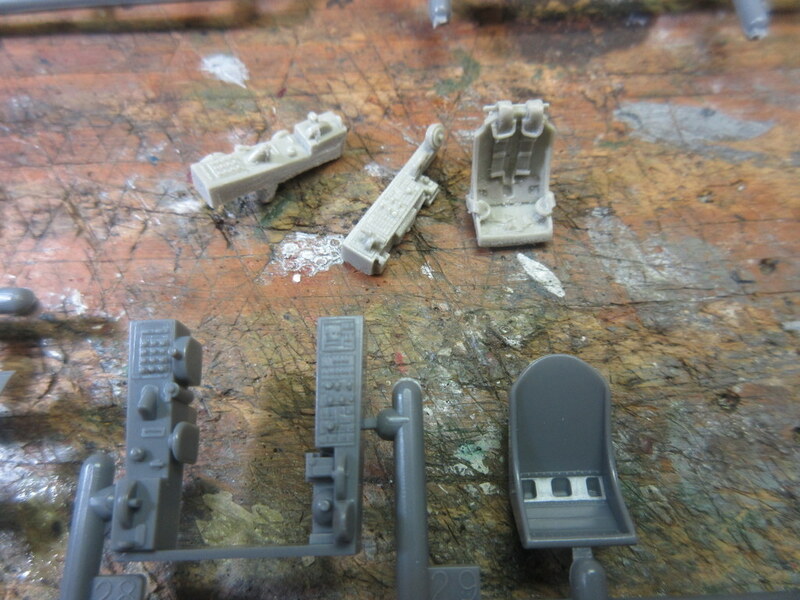 Here are a few shots of the kit.